In today’s world, a lot can be discovered by conducting a swift investigation, even if that investigation pertains to computers and/or cybercrime. Computers and/or cybercrime issues can be considered both civil and criminal, depending on the facts of the case. A good Riverside County licensed investigator can get to the bottom of the issue before it gets out of hand. What Is a Computer Forensics and/or Cybercrime Investigation? 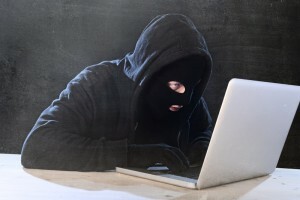 Any crimes that are committed through the use of computers, cell phones, or the internet are considered to be cybercrimes. Criminals use things lie spyware, malware, viruses, and hacking to create victims out of unsuspecting people. Cyber criminals can find and use your intellectual or personal information without your permission, which is why it’s so important to keep yourself protected. Although computer forensics and cybercrime cases are often grouped into the same category, a good Riverside County licensed investigator can tell the difference. On top of that, a qualified investigator can examine the evidence found and then compare the findings with the law of the land. Trained forensic investigators typically utilize a number of methods in order to gather and analyze computer and cell phone data on behalf of their client(s). Because of the complicated nature of this type of investigation, a Riverside County licensed investigator may require you to help prepare the case by preparing your computer or cell phone for the investigation. Before you contact a Riverside County licensed investigator, be sure to write down the make and model of your computer or cell phone. You might also want to clear any passwords, if you know them. This information is needed to get to the bottom of the issue at hand, but rest assured that a good investigator can find the information needed even if you cannot perform these duties on your own. A Riverside County licensed investigator will begin by assessing any and all possible security risks on the computer or cell phone in question. The investigator will then start developing a stiff security policy and then implement the latest technological tools to protect your privacy. Vulnerability assessments are also common and can further uncover other security issues that you may currently be unaware of – keeping you safer in the future. You may be wondering if hiring a Riverside County licensed investigator is necessary. Unfortunately, cybercrime is so prevalent these days that you probably do, especially if you have security concerns with your computer or cell phone. Many times, cybercrimes are taking place and we don’t even know it. A good Riverside County licensed investigator can get to the bottom of it for you before it’s too late. For more information on having a computer forensics or cybercrime investigation conducted on your behalf, or to hire a Riverside County licensed investigator immediately, call (951) 344-6306. We provide you with a free initial consultation and price quote for our services.